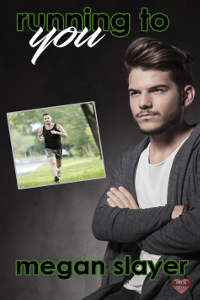 Dayton Sharpe wasn't looking for a relationship when he went out for a run, but when he's forced off the road, he finds the person missing from his life--Nicholas. Will he realize the man of his dreams isn't out of his reach, but right beside him? Nicholas Malone likes his privacy and his seclusion. He writes for the local paper, online magazines and novels. He has everything he needs--his cat and his writing. But he's lonely. When Dayton, the hunky jock next door ends up at his doorstep, he has to decide if he wants to be alone for the rest of his life or if it's time to break his norms to find love.